Santiago del Estero – The UCI BMX World Cup concluded in Santiago del Estero, Argentina, on September 16-17, with Rounds 5 and 6. Tory Nyhaug of Coquitlam, BC, finished third overall in the Elite Men’s standings. In Round 5, James Palmer of North Vancouver, BC, made the men’s final, finishing eighth overall. It was his second World Cup final. Nyhaug finished 14th overall. 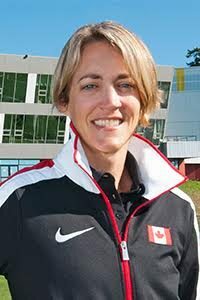 Daina Tuchscherer of Chestermere, Alberta, was Canada’s only entrant in the women’s field, making the quarter-finals and finishing 19th overall. Round 6, the final event of the season, saw Nyhaug make the men’s final to finish fifth overall. Palmer was knocked out in the one-eighth final, finishing 35th. In the women’s competition, Tuchscherer once again made the quarter-finals, finishing 18th overall. In the final standings for the season, Nyhaug finished with 535 points. Sylvain Andre of France won the overall title with 645 points, followed by Connor Fields of the USA with 620 points. James Palmer made the top-25, finishing the season 23rd overall. Alex Tougas of Pitt Meadows, BC, was 100th, with 15 points. In the women’s standings, Drew Mechielsen of Langley, BC, was the top Canadian in 25th place with 165 points. Daina Tuchscherer finished 43rd with 80 points. Laura Smulders of the Netherlands won the title with 790 points.